Bobbles are so much fun to make. Up until recently bobbles have been decorative little balls, added texture on cable patterns or adorable additions on children's patterns. The little bobble has become big and bold, in some cases like they are on steroids. Weight of yarn has a lot to do with how big the bobble will be, even if you are working the traditional 3 or 5 stitch bobble. 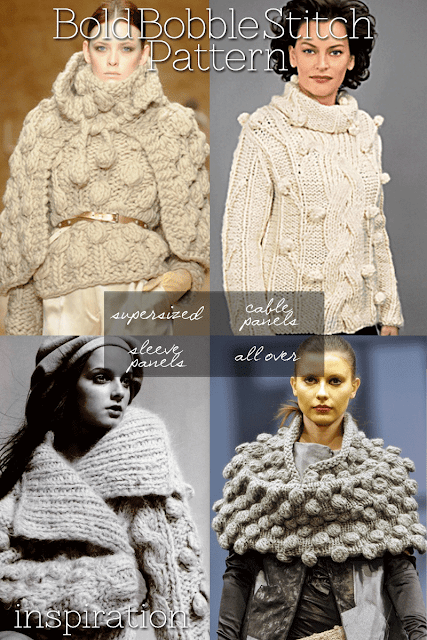 The tempting selection of bulky, yet lightweight, roving type yarns has allowed designers to experiment with outrageous texture. 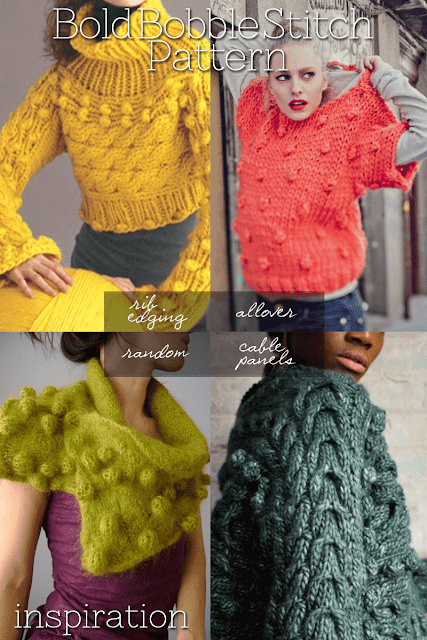 Supersized bobbles and cable designs are simple, no need for complicated patterns. The designs above and below the jump illustrate how these big bumps add style.